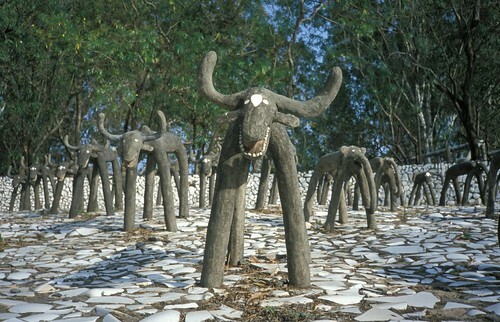 The Rock Garden at Chandigarh, India, is unique in the sense that it was clandestinely created by one man, in a reserved jungle land, over a period of 18 years, before it was discovered by the authorities. By the time of its discovery it had grown to a size of about 12-acre (49,000 sq. metres) and had a vast collections of statues and figurines built from scrap and pilfered material. Its creator, Nek Chand Saini, a young refugee from the recently created Pakistan, joined Punjab State Public Works Department (PWD) in 1950 as road inspector. 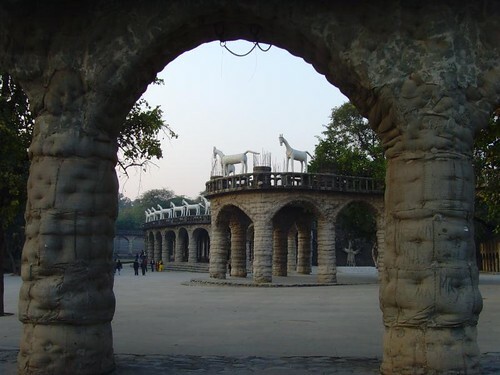 At that time the city of Chandigarh, India's first planned city, was being built, based on the designs of famous architect Le Corbusier and Nek Chand was looking after the stores. 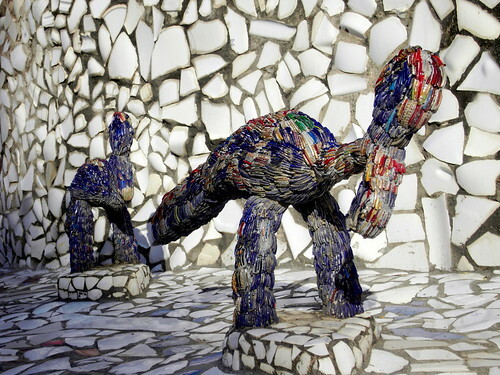 In 1957-58 he set upon to create statues from the waste material like broken ceramics, bangles, rubble stones etc and installed these secretly in a small patch of jungle adjoining the store depot under his control. He used to work in spare hours as well as in the night. As his collection grew he started pilfering the store for construction material and also utilised the labour working in store for clearing the jungle and constructing platforms for his artwork. He escaped detection because at that time the stores were set away from the main road and the quantity of Government material pilfered by him was peanuts as compared to massive construction activities which were going around in creating the Chandigarh city. Perhaps he balanced his books by showing the items pilfered as wastage. Upon its discovery 1976 the authorities were in a dilemma. 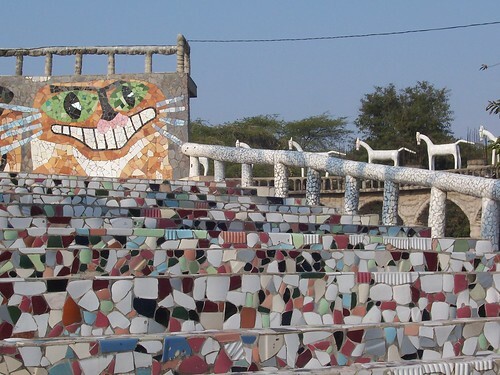 Some officials wanted it to be declared illegal and demolished alongwith punitive action against Nek Chand, while others felt that it should be preserved. Ultimately opinion of the public and art lovers prevailed. The Rock Garden as well as its creator were spared. 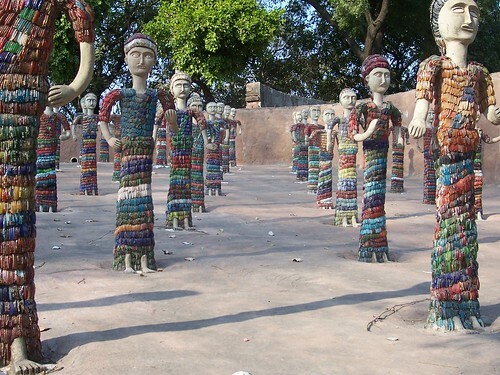 The Government took over control of the Garden and officially made Nek Chand its in-charge so that he could openly work full time. Later Rock Garden Society was established to look after the Garden. 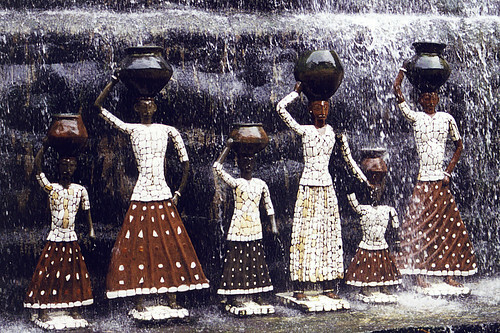 The Central Government also honoured Nek Chand and bestowed on him Padma Shri (4th highest civilian award) and a stamp was also issued in 1983 depicting a sculpture from the Garden. The Rock Garden is now spread over forty acres (160,000 sq. metres) of land with several thousand sculptures set within large mosaic courtyards linked by walled paths and deep gorges with waterfalls. Even after official recognition all the later additions were made out of recycled materials. 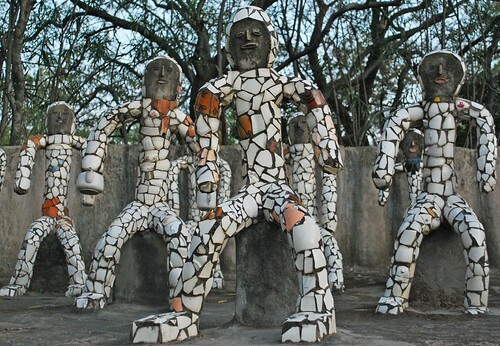 Nek Chand with the help of local authorities has established collection centres all over the city to collect waste material especially rags and broken ceramics. 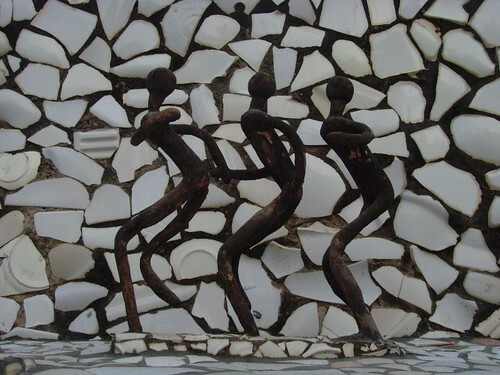 The Rock Garden has achieved a fame and tourist traffic reportedly second only to the Taj Mahal. About 5000 persons visit it every day. Image from Flickr is by T.K.V. Lovely Post with amazing pictures. Thank you. Appreciation from my readers is an encouragement to do better. Thanks for sharing these picture. I really liked your post. A living monument to Picasso’s adage “Everything you can imagine is real”, the breathtaking garden is a place of superlatives. 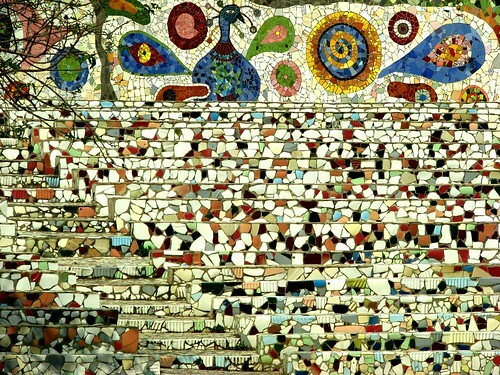 Designed and established on a conserved land, it was the creator and artist Nek Chand’s own secret garden that he worked on in his spare time, beginning 1957, and it was about 2 decades before anyone discovered its existence. 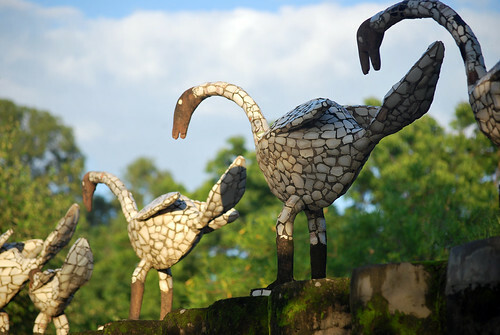 Check out more about Chandigarh Rock Garden also.